Heat has become an essential element in how most people style their hair. You have flat irons, blow dryers, curling irons and more to achieve a desired look. Unfortunately, heat can wreak havoc on beautiful natural curls and can permanently damage healthy hair. To limit damage to your hair and to use heat successfully, it’s important to be equipped with the facts. Consider these 5 facts below when adding heat to your styling routine. Heat damage can be prevented or treated but not repaired. When your hair is damaged by heat or any other source, it’s permanently damaged. High or excessive heat can permanently break the bonds within hair strands. Products that are on the market that promise to repair damaged hair are misleading. The simply act as a serum that give the hair the “appearance” that it’s not damaged but doesn’t actually reverse the damage. Hair that is weak, fine, and porous is more susceptible to damage by heat and other styling choices. My hair is fine and porous, so I have to be extra careful when using heat. Know your hair and its limitations. Experiment with high quality heat appliances to find out the lowest temperature possible to achieve the look you want without damaging your strands. If you’re going to use heat at home be sure to invest in high quality heat appliances. Cheap heat appliances will overheat increasing your chances of heat damage. Look for ceramic or titanium heat appliances that are especially made for textured hair with ion technology. Ionic hair dryers and flat irons break down water molecules which allow moisture to penetrate your hair strands while drying quickly. You also want a heat appliance with heat controls; not just a low or high setting, so you can find the temperature that works for you. This information will also empower you in a salon. Don’t just blindly trust that a stylist has the proper tools and techniques to prevent heat damage. Be sure they are using ionic technology at a moderate temperature as well as a heat protectant when styling your hair. Many heat appliances operate somewhere between 120 and 180 °C. Water boils at 100 °C. 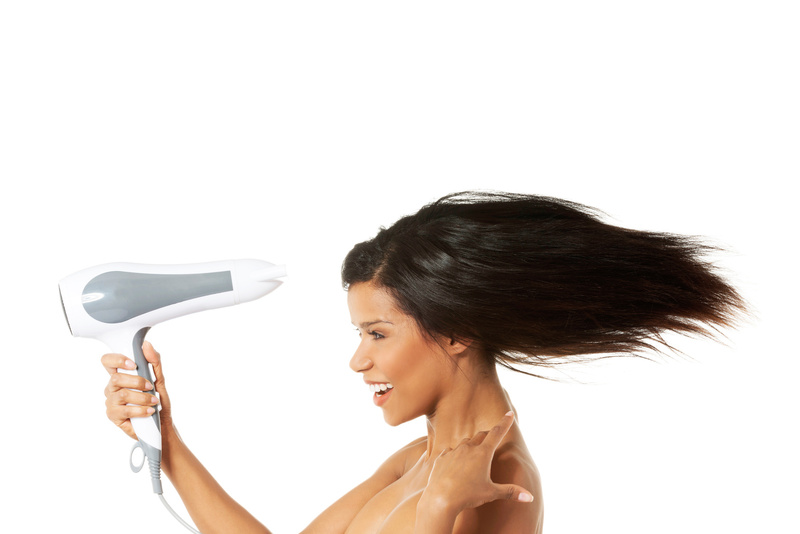 If a hot appliance is applied to wet hair, it boils the water inside the hair. Many of us have heard that sizzling noise at some point in our hair journey. The boiling water softens the keratin of the cortex and the hair will eventually break off. 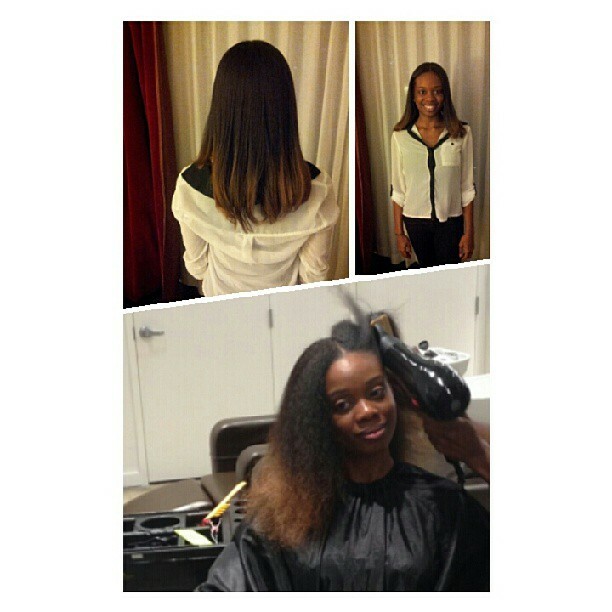 There are a few benefits to heat styling as a natural. Occasional heat styling can help prevent single strand knots, decrease breakage during detangling, and elongate tight curls. There are many alternatives to heat styling. Of course naturals can braid, twist, or strawset their hair and air dry. Personally, I use heat approximately twice a year in an effort to get a proper trim. Although you don’t have to press or blow dry hair to get a trim, I find that it’s the only way to properly access and correct split ends. How do you feel about heat styling? Posted on February 17, 2015, in Natural Hair and tagged heat damage, Natural Hair. Bookmark the permalink. 2 Comments. This is so true. I flat ironed my hair back in December for the holidays and 2 months later I’m still recuperating from it. Great Blog! My sister and I are new to the blog! We would love for you to follow us and check out our first blog on the pineapple method! Thanks in advance!